Twitter, the online social networking and microblogging service that enables users to send and read short 140-character text messages, called “tweets” already counts with with 200 million users sending over 400 million tweets daily and without any doubt this social network can certainly be an effective channel for communication for any small business. Contrary to popular belief, Twitter is not only a place for teenagers or celebrities talking about their daily activities. The importance and advantages of Twitter as a marketing tool has been proven by many small business owners, who have used this social network to grow their businesses. Bearing in mind that its free to market any product on Twitter, small businesses, without a doubt should start using this modern internet marketing tool to enhance their marketing activities online. 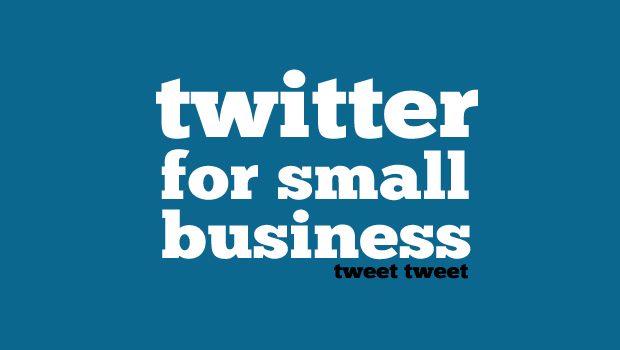 How can Twitter help small businesses? Twitter counts with millions of users and more people are joining daily, making it one of the best places to look for potential customers. Small businesses that cater to a niche market or people of a particular geographic area can use this famous microblog to connect with them. Not only that, as a small business owner you can also connect to your existing customers and interact with them to learn more about how your products, brand or services are perceived. Once you start gaining followers on Twitter, you should try to build a positive relationship with them to grow even more your business. To this end, an effort should be to publish updates and tweets that your customers find interesting and useful. Keep your direct marketing or sales pitch for later, since too many marketing ads may not be very positive to your image at first. In addition, avoid sending too many messages from your Twitter account in a given period, as an activity of this kind could be considered as spam. As you all know the big brands don’t need presentation to get followers. But small businesses owners, who want more people to know about their line of products or brand, should use Twitter to build their branding. People generally prefer to interact with a person rather than with a logo, unless it is well-known brand. Thus if you’re owner of a small company that’s still in its early stages, it’s best to first create a personal profile, and then create a profile for your company, and once you’ve created a profile for your company, you can use the Twitter account to introduce new products under your brand or product line. News travels faster online than it does across the radio or television. You can use your business Twitter account to make important announcements and share any valuable news that your customers would like. While a TV or radio commercial can do the same job for you, Twitter is free and the message is sent to millions of people in a short period of time. Twitter can be a great tool for interacting with customers and market their products and its also a very effective weapon to collect feedback from customers and their opinions on your company’s products and services . All you need to do is to follow the conversations about your company’s products and get the answers without even asking. If you have something specific to learn, you can do so by asking directly to customers or by carrying out a survey through your Twitter business account. 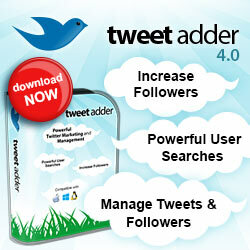 You can also use Twitter to learn and control what is said about your business products and your company in general. A lot of people use Twitter to communicate what they do and how they feel about everything and anything. So there are many possibilities that a dissatisfied customer or a competitor might be using the micro -blogging site to create a negative publicity of your products. Keeping a tab on the Twitter conversation involving your brand can help you solve these situations and manage your online reputation in a professional manner. The use of tools such as “Twitter Search” can be a great way not only to check your Twitter reputation, but also to keep an eye on your the competitors activities and their reputation as well. Learning about your competitors can help you plan your business marketing strategies better and help you avoid mistakes that could affect your business. Once you gain popularity on Twitter, you will be able to enjoy the benefits of seen your tweets go viral. A message on Twitter can be Retweeted any number of times, which means that any message useful or interesting enough can be transmitted to a large number of Twitter users in a very short time . This strategy when applied to your marketing or promotional tweets can bring great results. If you have a company blog as part of your small business SEO strategies, the best way to promote it is through Twitter. If you believe that the information provided in your company’s blog would be appreciated by your followers, simply share the link and Tweet it. This will not only divert traffic to your blog, but will also make your message go viral if your customers find your content useful enough. And remember, the best part about Twitter is that its free, making it the ideal solution for small business marketing. In any case the advantages of using Twitter for small business is a big plus and if you are a local small business you should definitely take the steps to ensure that this powerful tool is used properly in your for your benefit.